I had been pondering for a few weeks what to do with the Thanksgiving holiday week. Due to some comp time built up, it made sense to go somewhere for the week since I could get a nine day vacation for the price of two days. 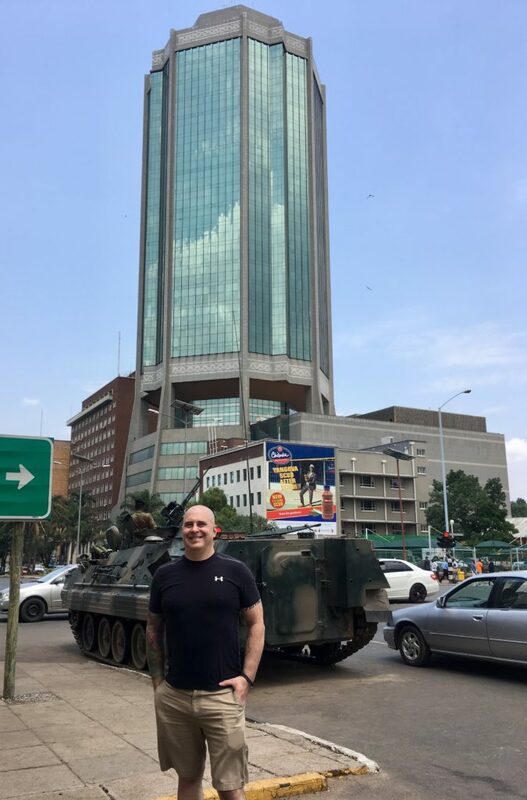 Due to some fluctuations with flights and availability my plans changed a few times, but as a long-time Zimbabwe watcher, when the coup (sorry, “protection of democracy”) happened it made my choice pretty easily. 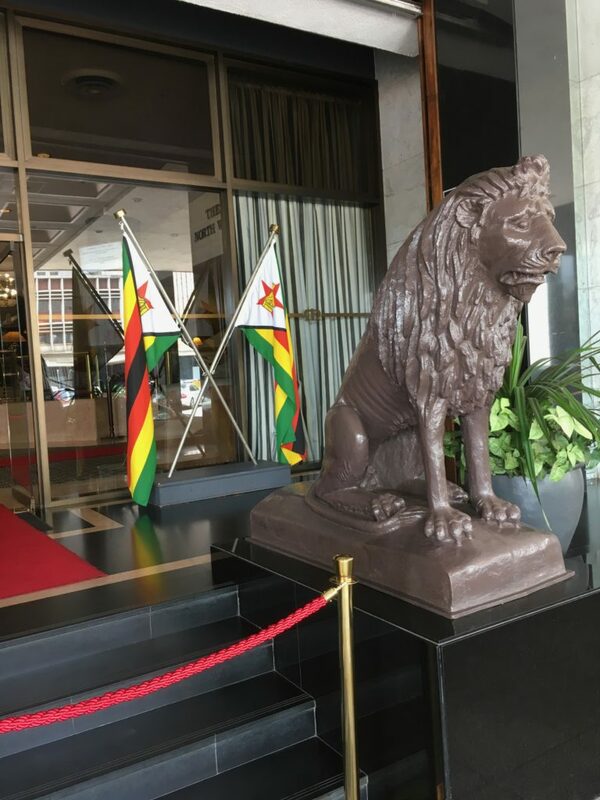 Unfortunately due to some other commitments, I ended up having less time than originally planned and unfortunately it became a shortened trip, which unfortunately meant I arrived in the country the day after Mugabe’s resignation. You can’t exactly plan and time these things well, and at least I would be there the next day and see the very first day of post-Mugabe Zimbabwe. Enough background, let’s get into the trip! Overall, a pretty average domestic hop to start the trip. Yes, I ended up in a middle seat, but at least it was Comfort Plus so I had plenty of legroom. Unfortunately, I had a “passenger of significant size” on BOTH sides of me. The gentleman in the window was as polite as possible and “leaned” toward the window as much as he could, but the guy on the aisle was far less pleasant. He insisted on keeping the armrest up, and made no effort at all to avoid spilling all over me. Ugh. Even in an uncomfortable position you can still make an effort to be as helpful as possible to your fellow passengers. 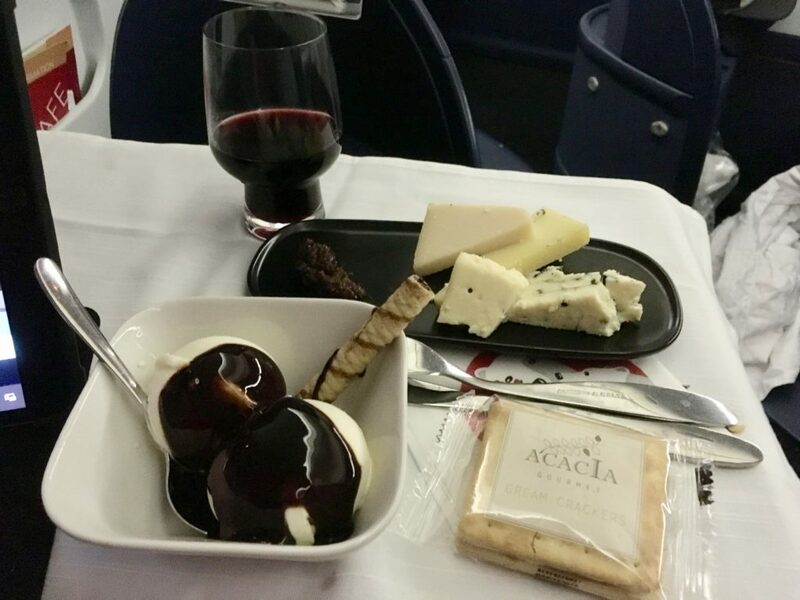 I think the flight attendant took pity on me, however, because she she made the drink run and I asked for red wine…well, she was generous! 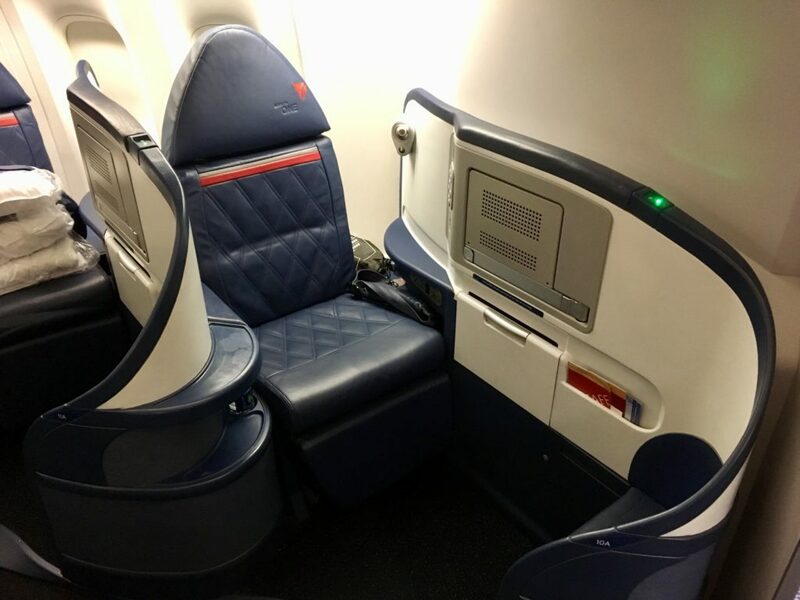 This was my first time on Delta’s 777 product, and although the seats were a little old-fashioned and worn, first impressions overall were pretty good. I’m a huge fan of all-aisle access, and this product does that will still being roomy and relatively private given the high walls. 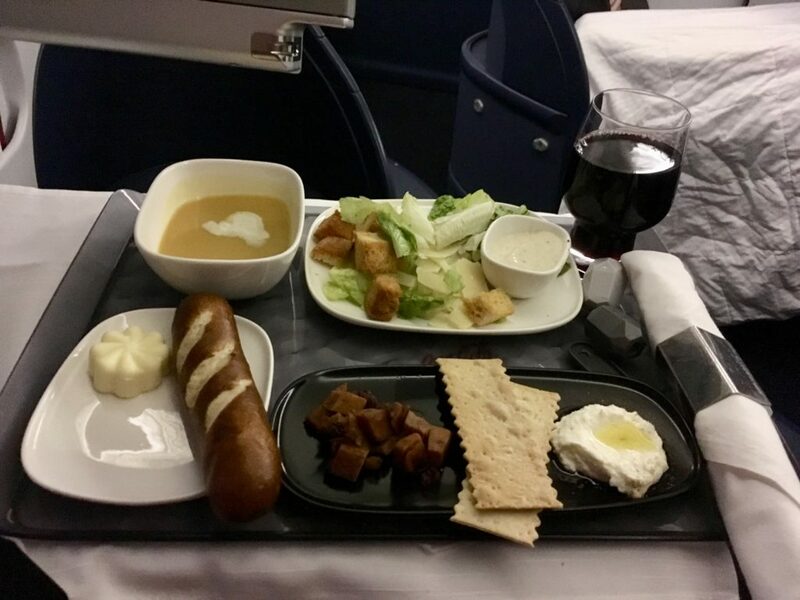 “Tray service” in business class doesn’t bother me as much as it does some others, and I liked having the appetizer, soup, and salad at the same time so I could alternate bites as I felt like it. The ceasar salad was meh, although the dressing was pretty good. Loved the butternut squash soup, and the “butternut squash, date, and meyer lemon compote” was a little odd – but taste. 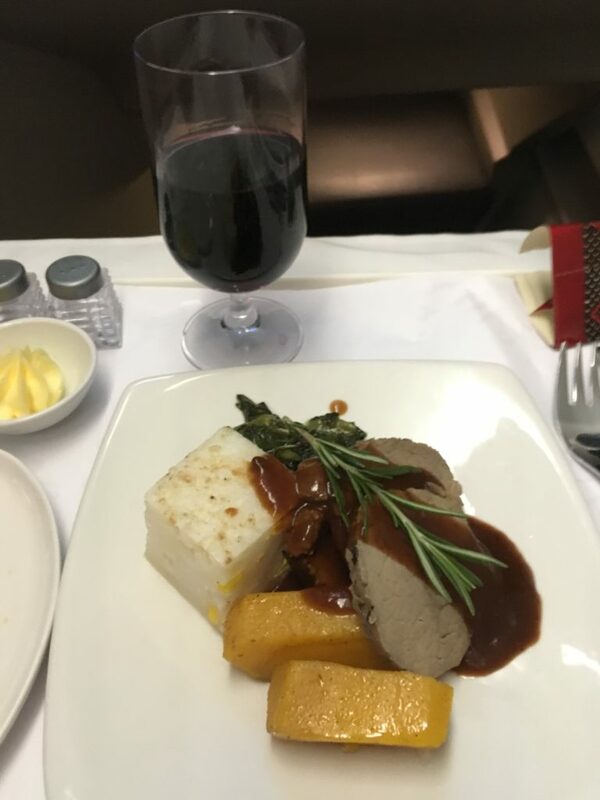 Seems United’s asparagus fetish has company in Delta’s butternut squash fetish. Plus….pretzel roll! Yum! Four choices of mains, and I went with the butter chicken. It was good, but nothing outstanding. Dinner was over, and I managed seven straight hours of sleep before getting up and watching a bunch of tv. 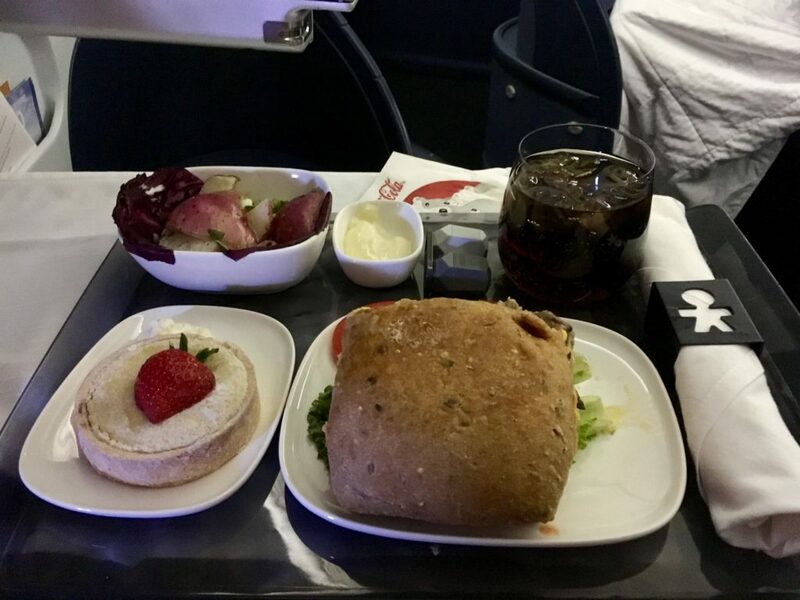 Shortly before landing was the second meal, which was either a lentil salad with grilled chicken or a hot roast beef and cheddar sandwich. The sandwich was really tasty, but the potato salad super bland. The blueberry tart, however, was quite good. 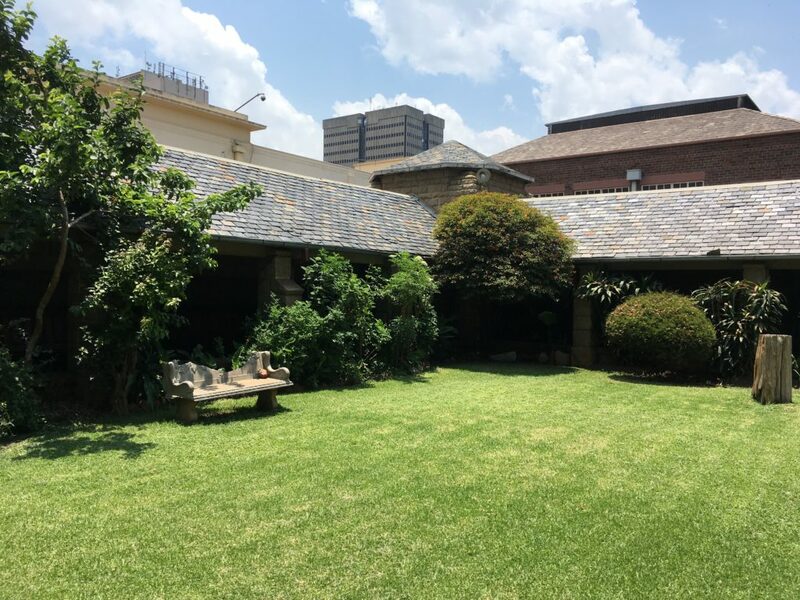 Not too much exciting to say about my overnight in Johannesburg. Had I planned better I probably would have connected straight to Harare that evening, but it was night to have one night in a familiar surrounding to relax. 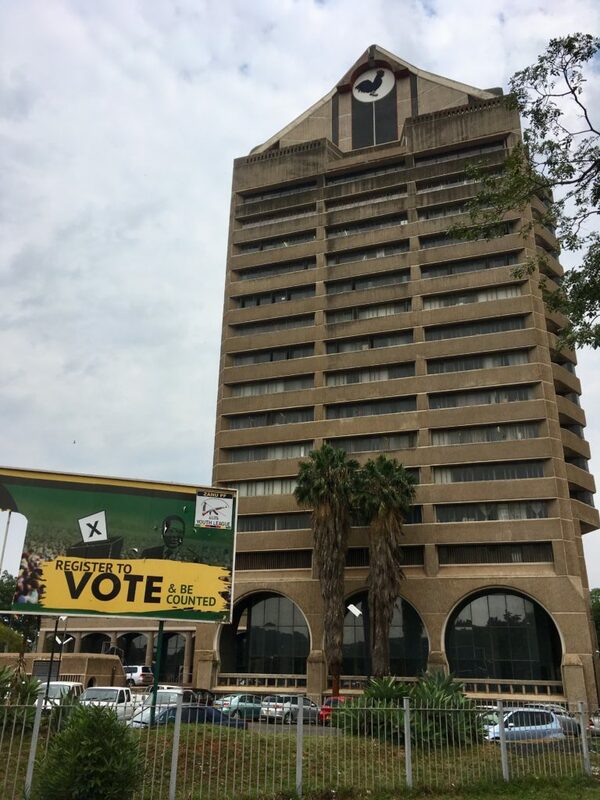 I was back at my favourite hotel by far in Joburg, the Hyatt Regency, where I had stayed just three weeks prior. Slept in, had some covfefe, and then it was time to head back to OR Tambo for my flight to Zimbabwe. 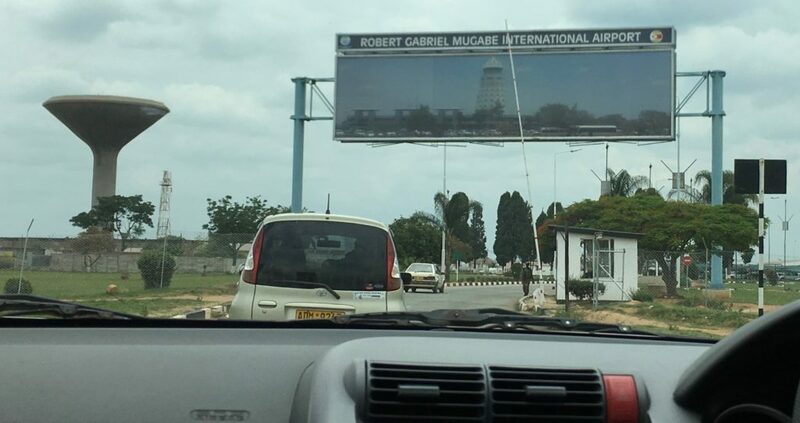 Mugabe had finally resigned the previous evening, so I was very curious to see the energy on the streets when I landed. 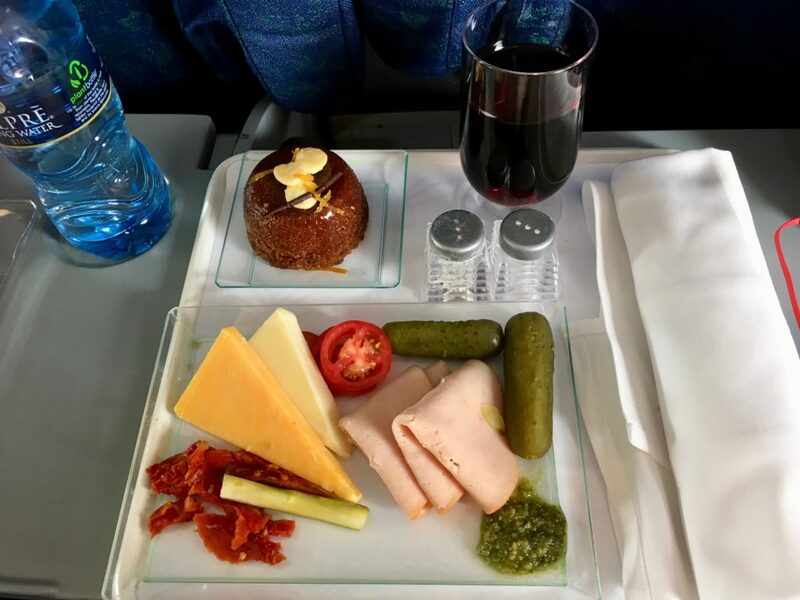 Despite being a mid-afternoon flight, a snack plate was offered. Nothing extraordinary, but a solid offering for such a short flight. You’d never see this in the US on such a short flight. While waiting in line at immigration to pay for my visa, I noticed all the immigration officers seemed to be in great moods. I chatted a bit as mine wrote up my receipt, and cracked a joke about “what, did something exciting happen here recently?” It was like the entire nation was in the middle of one great big party, and I had just arrived! I had arranged for a hotel driver to pick me up, since at $25 it was the same price the airport taxis were rumoured to extort you for. 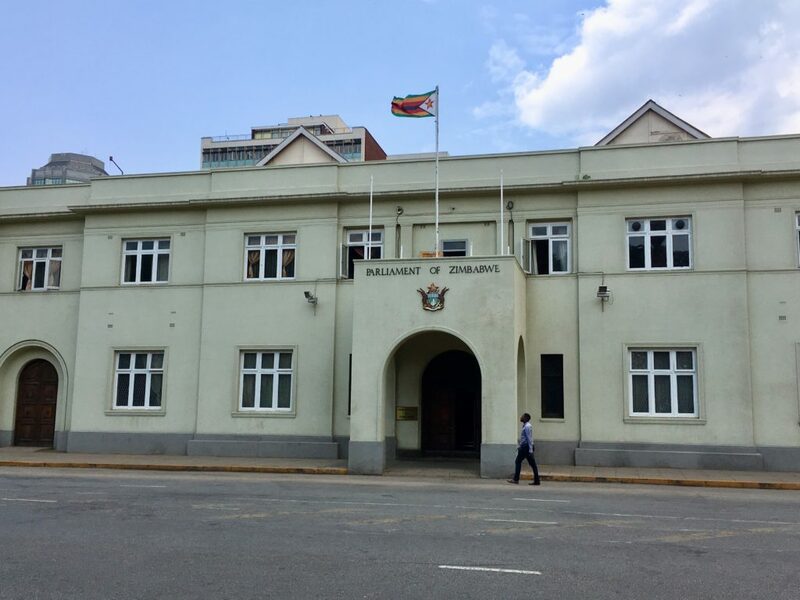 I was staying at Meikles Hotel, which had recently celebrated it’s 100th birthday in 2015 and bills itself as the oldest hotel in Zimbabwe. I’d read many reviews online that it doesn’t live up to its five star reputation and is old and tired, but my experience was exactly the opposite. No, it’s not a brand new sparkling hotel in Dubai, and I’m not usually one to go for “old school charm” but I found it a very nice place to stay – especially given its location in a country that’s been experiencing economic malaise for nearly two decades. Sun was setting, but I was determined to at least get out a bit before the sun went down. According to the map there was a Pick n Pay Supermarket just two blocks away, so I headed there to pick up a few supplies since I’d actually be spending multiple nights in the same hotel. The supermarket was packed, and people were staring at me. I wasn’t entirely sure if that was due to me being the only white person in sight, or if it was the tattoos, but it was definitely noticeable. Not in an uncomfortable way, just once of those – I’m standing out here ways. That over, I really did want to get out of the hotel for dinner, so I grabbed a hotel car to Pariah State bar/grill in Barrowdale. I hadn’t had enough time to read up on the taxi situation, and while the hotel car price seemed a bit high at $25, it was a 20 minute ride and I figured for safety it was worth it. Dinner was rather tasty, and the people watching was fantastic. Plus…got to sit outside and have dinner which was a treat given winter is coming back in Washington. Near the end of dinner, two low-level soldiers walked into the bar, and several white Zimbabweans went up and thanked them for what they’d done (ousting Mugabe) and took selfies with them. Amazing…this is why I chose to come now, and it was awesome to see people showing their appreciation to the military. Decent night of sleep, even though I woke up a bit after 4am (I don’t know why – but the last year I’ve had a tough time with jetlag going to Europe/Africa, something I never had before) so I actually did a short workout in the hotel gym and then off to breakfast. One major negative for the hotel, the person who walked me to my room pointed out the club lounge and told me “you can have your breakfast there.” I asked if it was included, and he said yes…so I went. I was presented with a bill at the end of breakfast, but assumed it would be an internal charge back like many hotels do. Unfortunately, when I checked out, it was on my bill and I was told that whoever told me it was included was wrong…and they wouldn’t budge on the charge. Left a poor taste in my mouth. 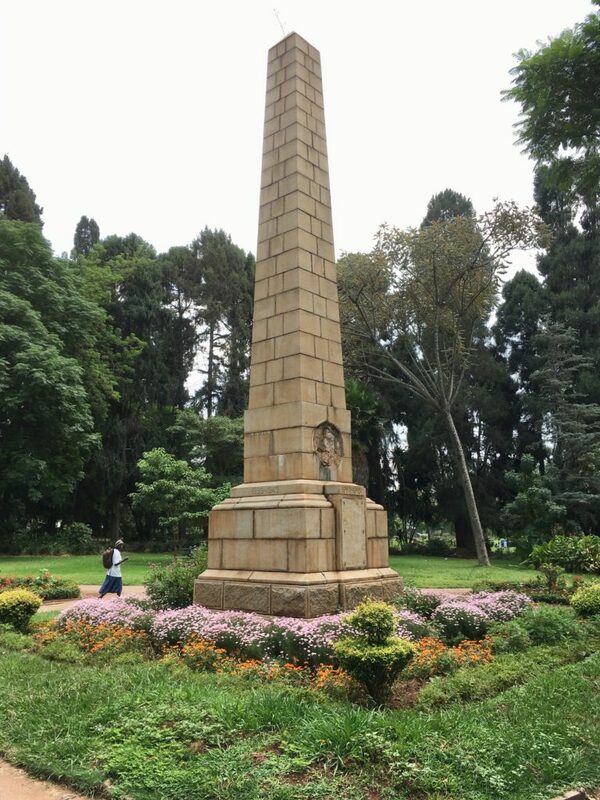 I had arranged a 9am walking tour with Lynnette from Free Walking Tours Harare, and let me just start by saying she was absolutely amazing! Great communication before the tour via Facebook messenger and WhatsApp, and since I was going to be the only client for the day, we could start whenever I wanted. Awesome! 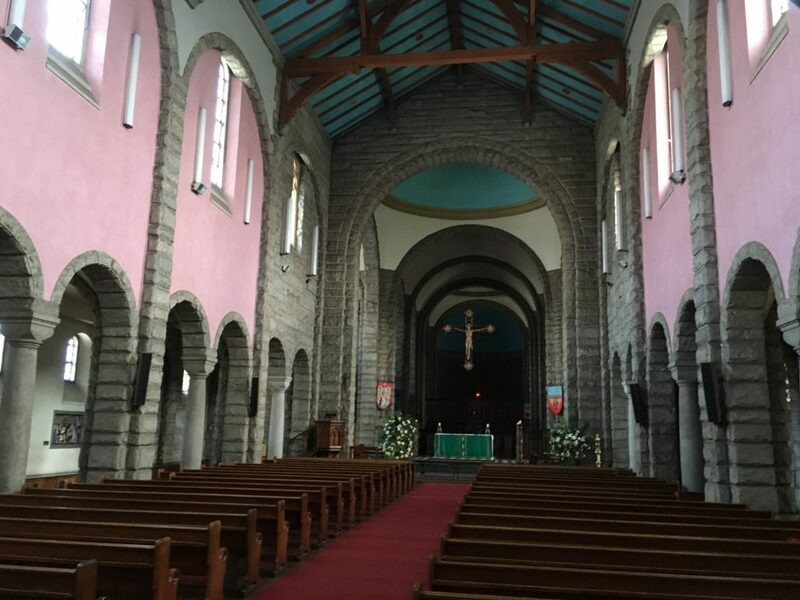 Very nice on the inside…and I loved how the pink/tan/dark hues played off each other. 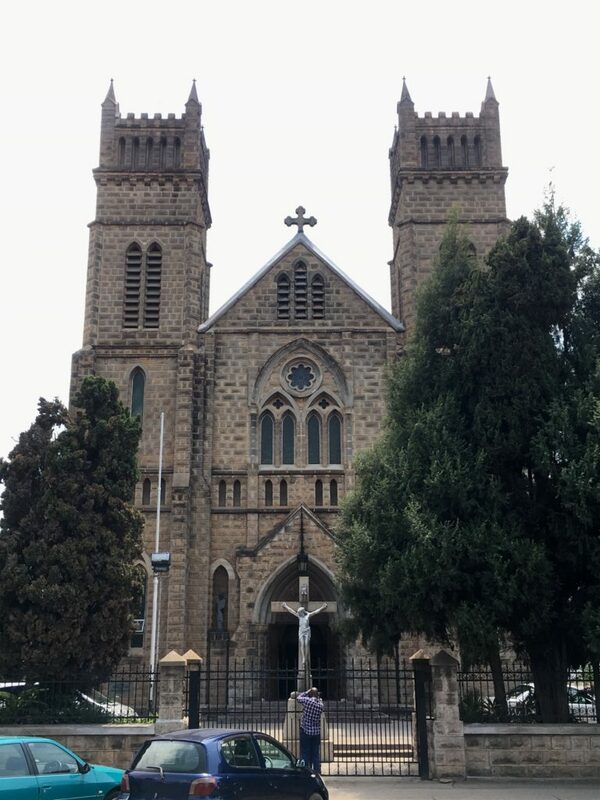 Lyn shared stories of Zim in the 70s and 80s when it was pretty much compulsory to be Catholic to have access to a good education. Stories of her family and their education, and it was very interesting to hear how things have changed over the last few decades. 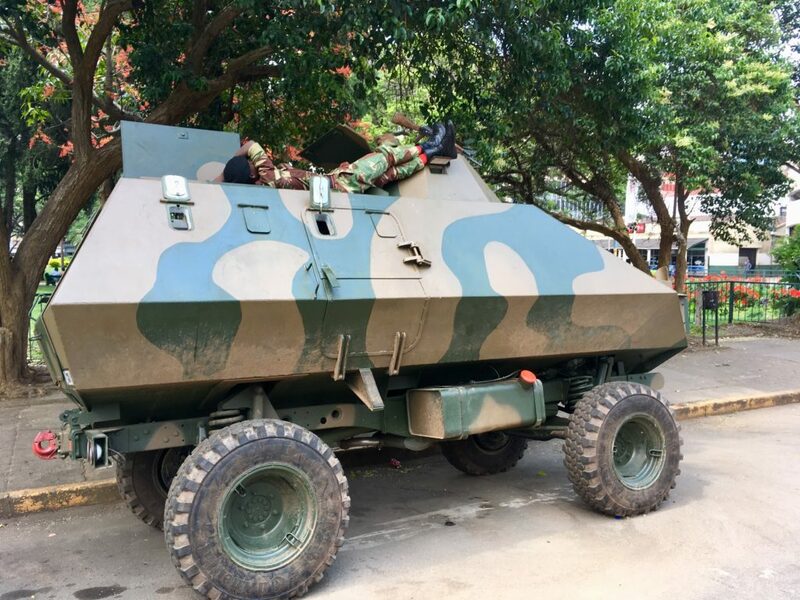 Military vehicle in the street. First one I’d seen, so I asked the soldier if I could take a picture. Of course! I should have asked if I could climb up and take one with him…I’m sure he would have said yes. I really need to get better at asking what I perceive are “uncomfortable” questions so I can get better photos! Skill I have yet to master in all my travels! 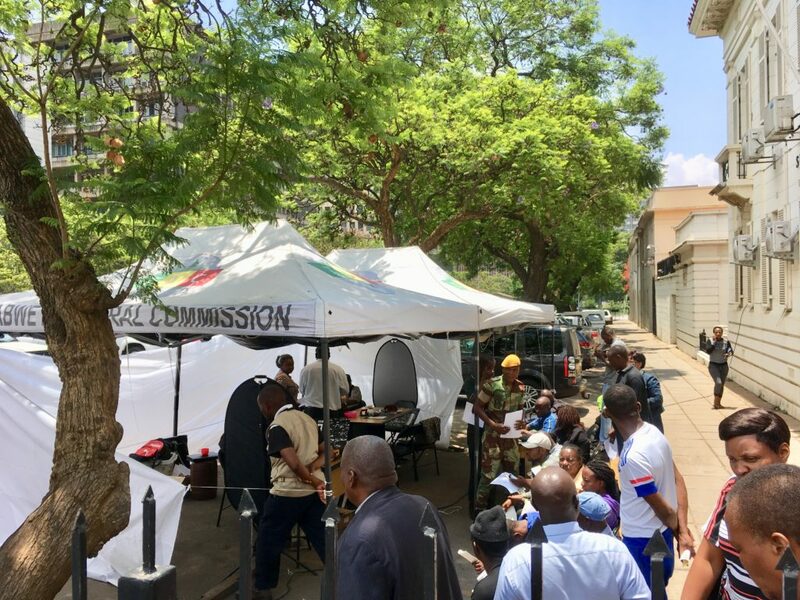 Near the Parliament the Zimbabwe Electoral Commission had set up voter registration, and they were doing a brisk trade in people signing up to vote in the 2018 elections. 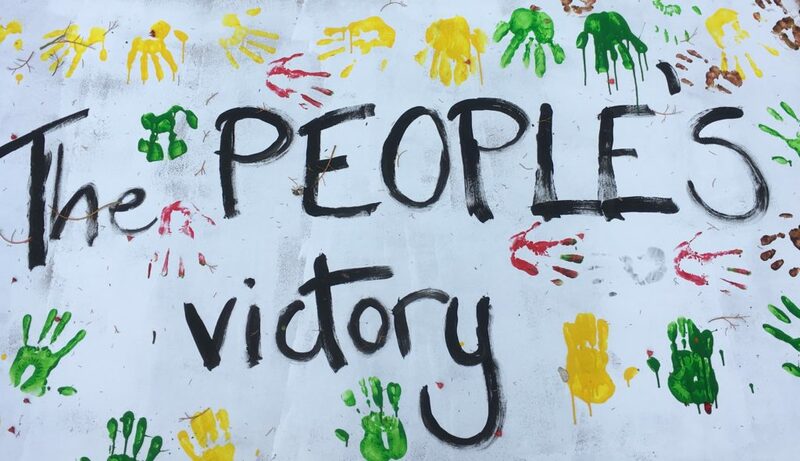 Now that there is a chance of “free and fair” democratic elections next year, people were excited to register and make their voices heard. One thing every person I talked to said is “it can only get better. 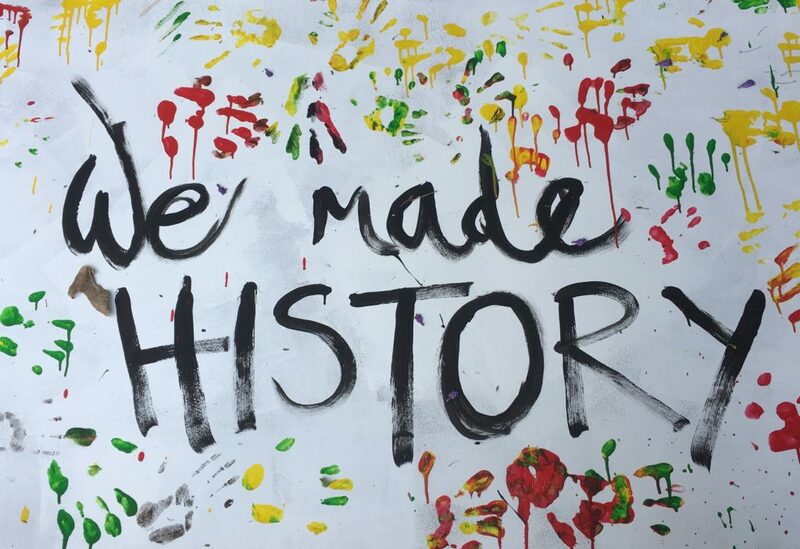 If the next guy is bad, we will not stand for it any more.” People were very excited for change, and virtually everyone felt it was going to be a major turning point for the country. 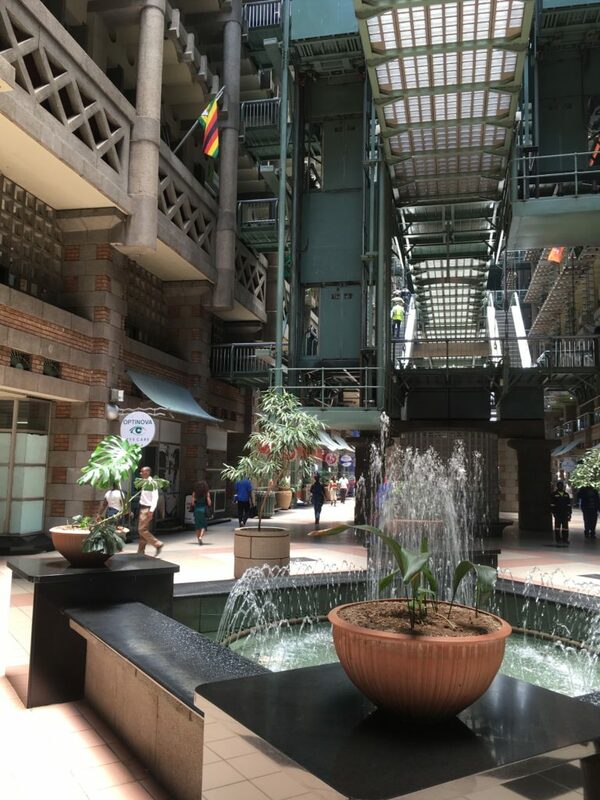 The Eastgate Mall – one of the first in the world to use architecture to provide for natural cooling via airflow. 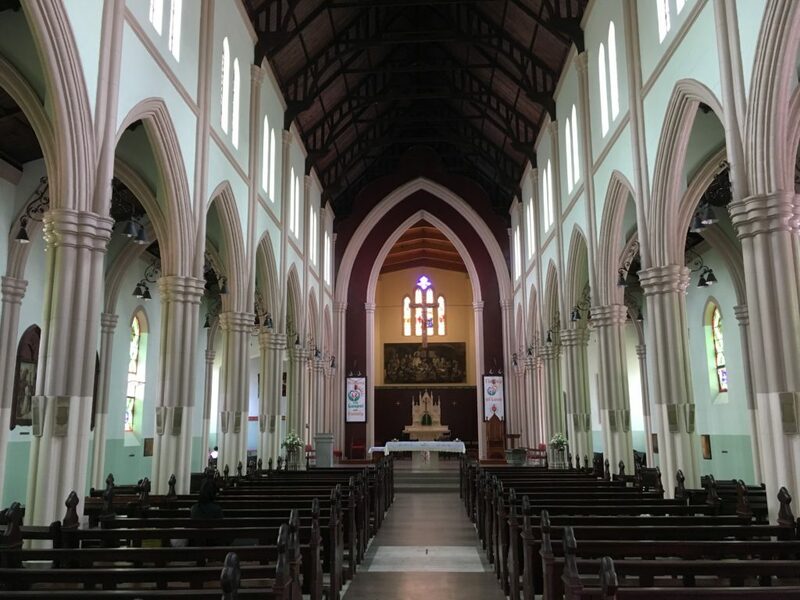 It was noticeably cooler inside, despite no artificial AC and 30 Celsius temps outside. Took this pic on the walk back to my hotel, not knowing just how famous it would become. Several times over the next day I would see BBC, CNN, etc on tv, and all walking by and talking to these same three fruit vendors and interviewing them for their opinions. I’m guessing it was because they were one block from the one nice hotel in town, so that’s where the news crews ventured. For example, BBC – I took this pic while having a bottle of water in the Club Lounge. Background look familiar? Yup, she’s in my hotel with the park in the background…exact same view as from my room. Most likely she was broadcasting from her own room less than three doors down from me. It was early afternoon at this point, and despite a semi-heavy breakfast I was super hungry thanks to the long walk. I googled for a bit, and found there was an app called GTaxi with an online portal where you could supposedly book a driver – just like Uber. Price was given to you in advance, and they quoted me half the price of the hotel car to go back to Borrowdale, so I figured I would try it. Car showed up in under 10 minutes, was nice and clean, driver was chatty and professional, and was a great way to move around the city. Highly recommended! 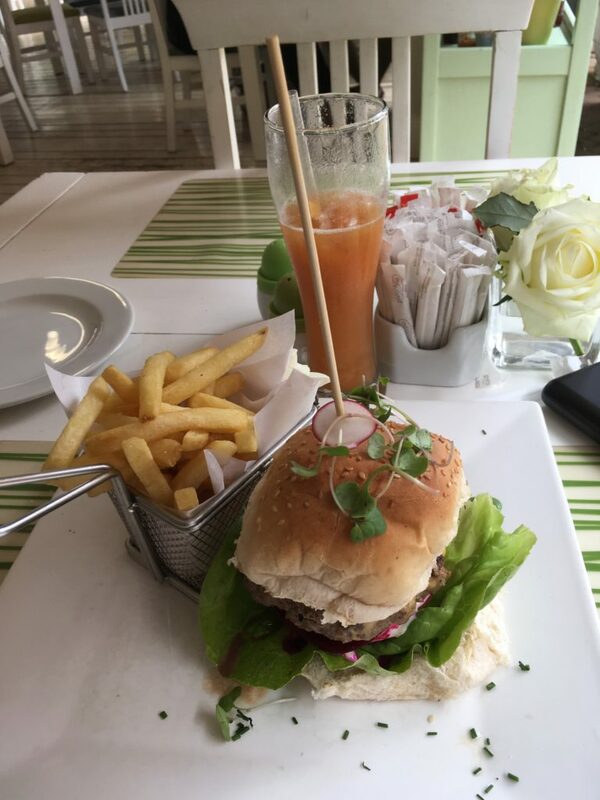 I had lunch at the Pistachio Cafe in the Borrowdale Mall, and had a delicious “100% Zimbo Beef Burger” and a passionfruit/mango/etc smoothie which was all delicious. 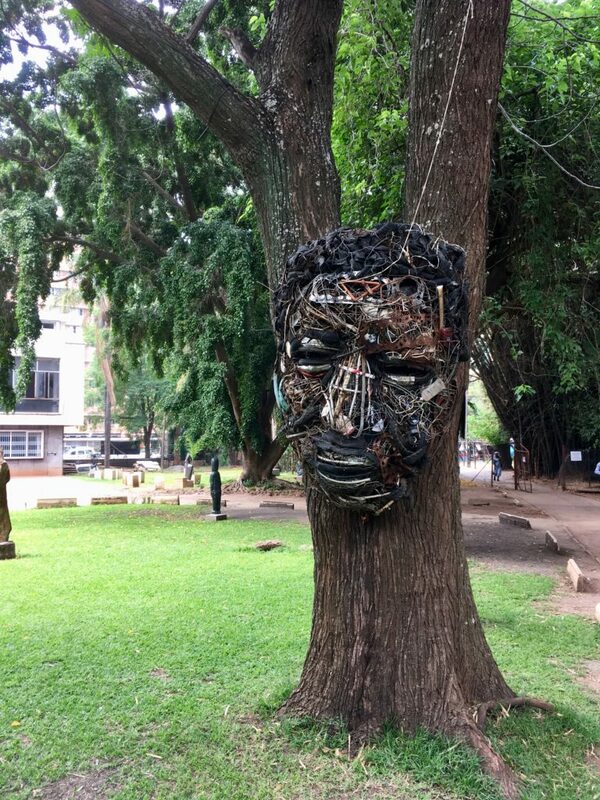 After lunch walked around for a bit before calling GTaxi again to take me to the Zimbabwe National Heroes’ Acre. Unfortunately, given the “current situation” it was closed, as it is a bit of a politically sensitive site. 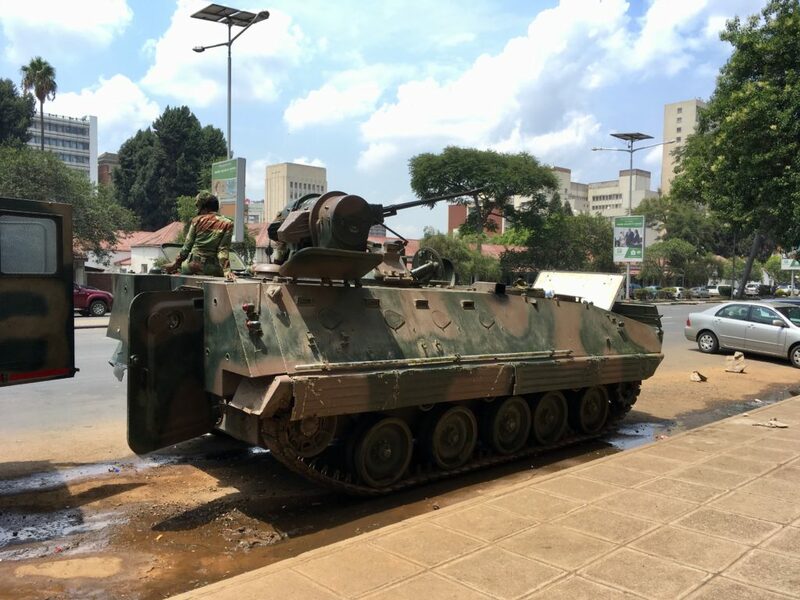 Especially since the “war veterans” (of the liberation war) had come out against Mugabe when he failed to resign in his TV address, this was probably seen as a bit of a sensitive site. Oh well…at least when I called another GTaxi to come get me they were there in about 10 minutes. Walked around the downtown a bit after I got back, but it was soon sunset so I retreated to the club lounge where I had chats with several very interesting characters. A few diplomats in town for the inauguration of the new president the next day, foreign news crews, a couple of ambassadors who were based in Pretoria but also tasked with covering Zim….it was a veritable who’s who of Southern Africa. This was my first time being in a “small” country at the top of international headline news, and I couldn’t have been more glad that I chose this hotel….and paid the premium to be on the club floor. I had read on TripAdvisor, and some folks in the lounge confirmed to me, that one of the best restaurants in Harare was Sabai Thai. So yeah, Thai in Zimbabwe was such a strange concept, I had to go and check it out. 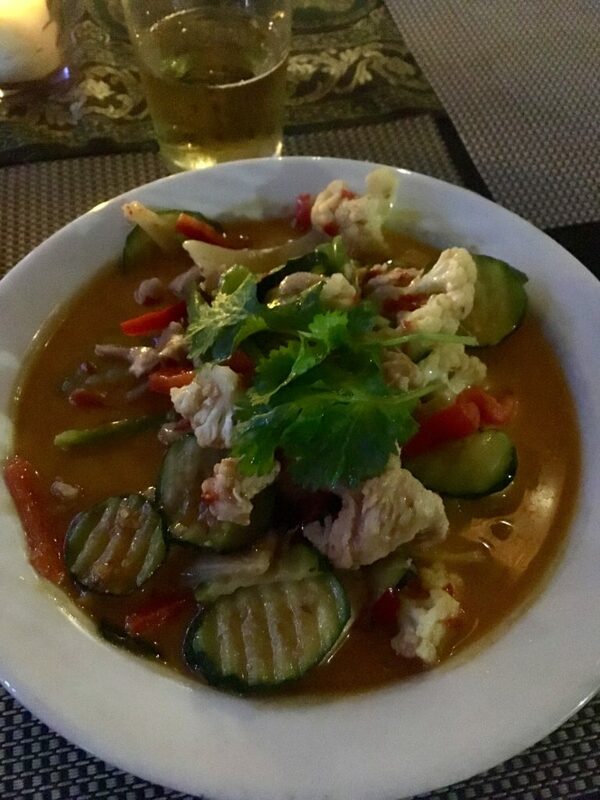 I can confirm it was authentically thai spicy, to the point I scarfed three ciders total and had to pace myself as I ate. I’m going to attribute this to the owner’s wife who is from Thailand. DC has more Thai restaurants per capita than anywhere outside Asia so we’ve got lots of great Thai here, and Sabai Thai ranked right up there with the best of them. Very glad I made it for dinner, since it also was a very authentic local atmosphere and allowed me to get a bit of a feel for how those in Harare with money celebrate out on special occasions. My flight was relatively early the next day so I made sure to get to bed early so I could enjoy a couple hours in the morning before heading to the inauguration. 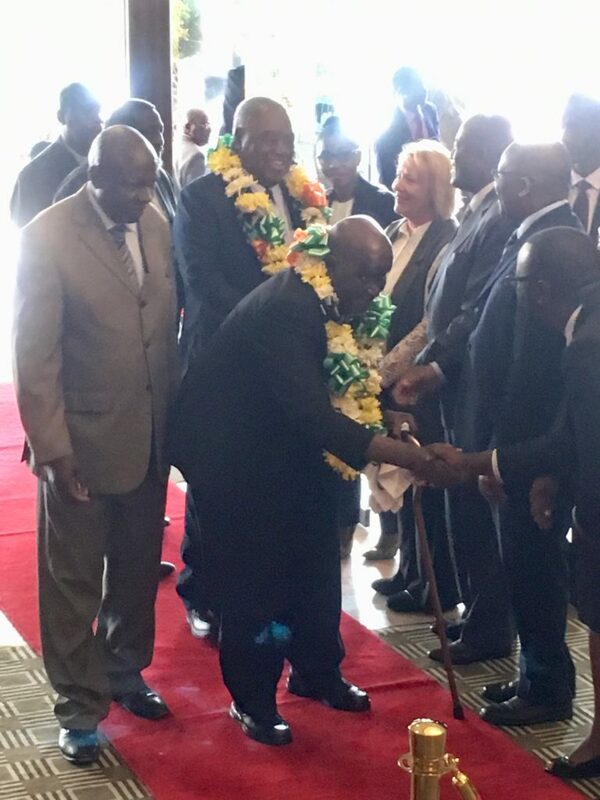 Good thing I was up early, because the club lounge was packed with dignitaries rushing off the the ceremony at the national stadium. Diplomatic staff from several southern African nation were having breakfast, and there was me…in shorts and a t-shirt, hanging out with them just observing. 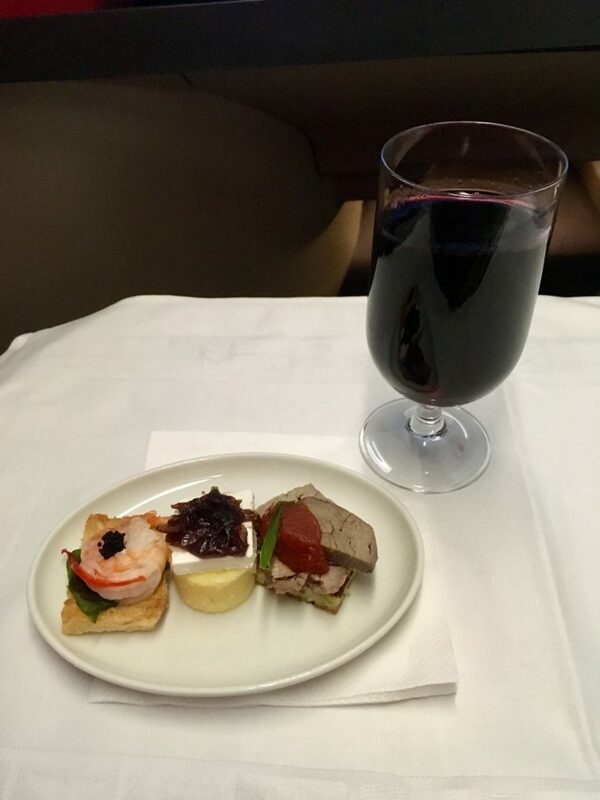 Now, remember, this is an 80 minute flight tops. Lunch was offered, with THREE hot meal choices. I went with the lamb. While it might not look super appetizing, it was really tasty…and the potatoes were really good too. Just creamy enough, and the red sauce on the side (which I couldn’t quite figure out) made sure I finished my plate. Headed to the South African lounge after clearing immigration and security. 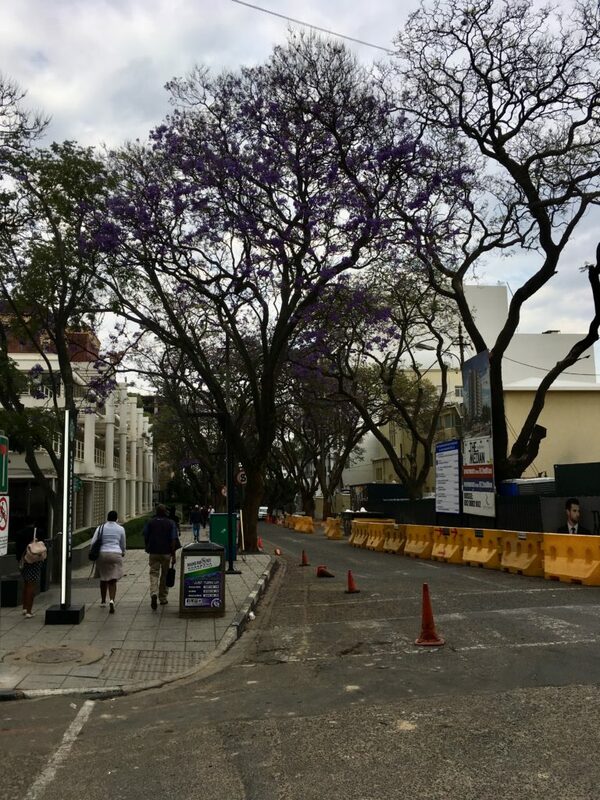 I was still undecided if I was going to stay another night in Johannesburg, or head straight home, and I was still holding reservations for both. 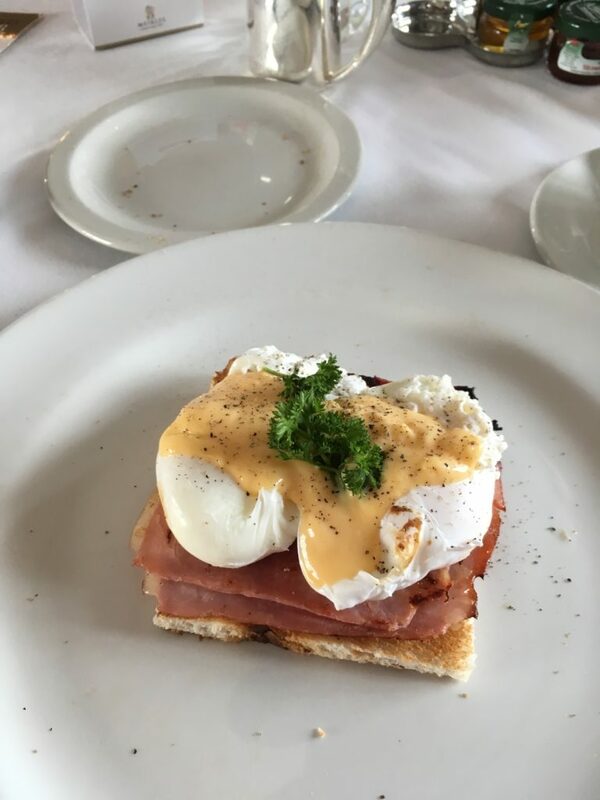 I decided there was no point to another night in South Africa, given I had just been there for a week and didn’t know what I would do with what would literally amount to a dinner and coffee in the morning. Decided to skip it, and catch the next flight hope, saving a few hundred dollars in hotel/meals/etc. 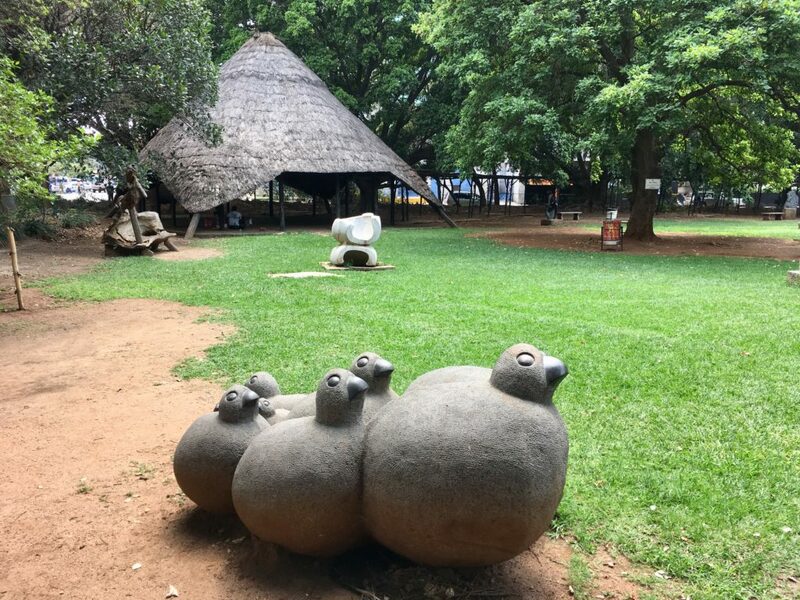 The South African flight from Joburg to DC stops three days a week in Dakar on the way, and the other four days in Accra. When I was working in Senegal I took it back and forth to DC several times, but I’d never had the opportunity to take it the whole way from Johannesburg. That might have been part of my motivation for going straight back too. Fortunately, the day I was going was a Dakar stop day. Why is that important? Well, on the days it stops in Accra the stop is from 10:30 to 11:30pm and the days in Dakar it is roughly 1-2am. Much easier on the body clock to stop earlier and have more time to rest on the redeye westbound to DC. Pre-departure champagne was offered in a nice glass flute (are you listening United?) and then we were off. I was in the “mini cabin” of business with only three rows, and only 5 seats out of the 12 were occupied so it was nice and private and quiet. 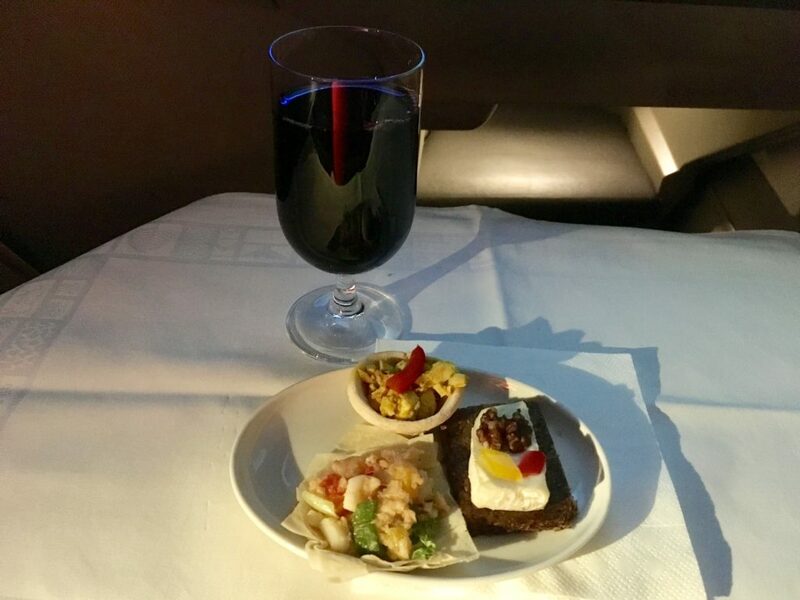 Canapés and wine. While I applaud the effort to do more than mixed nuts, the canapés were soggy and relatively flavourless. Two days later, I can report I risked the cockroach of the sea (aka shrimp) and it’s tiny speck of caviar, and avoided food poisoning from it, hah. Salmon and trout mousse starter. It was soup…or salad…OR starter. No, you can’t have more than one. Seriously South African, way to look cheap. The only reason I went with this option was for a bit more protein, but after one bite that was enough. Fishy tasting and overall yuck. …at least there was garlic bread? Except it was soggy and had almost no garlic or butter taste. Oh, and you get half a loaf because it’s not cut well enough to pull apart. Pan fried beef fillet…the beef was two tiny slices, like seriously maybe 3oz at most, and cooked beyond well done. Yuck. 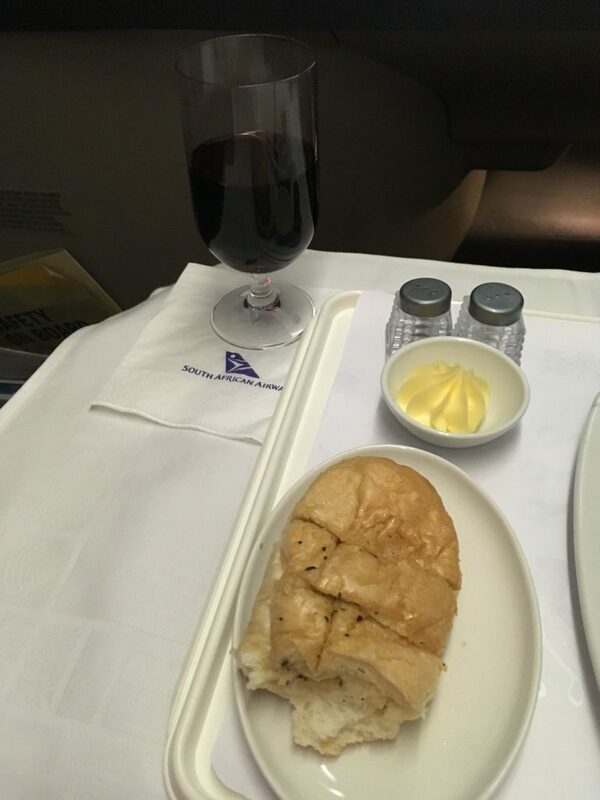 The highlight was the butternut squash (seriously…are you guys and Delta in cahoots?!) and the maelie pap and corn cake because it was novel. 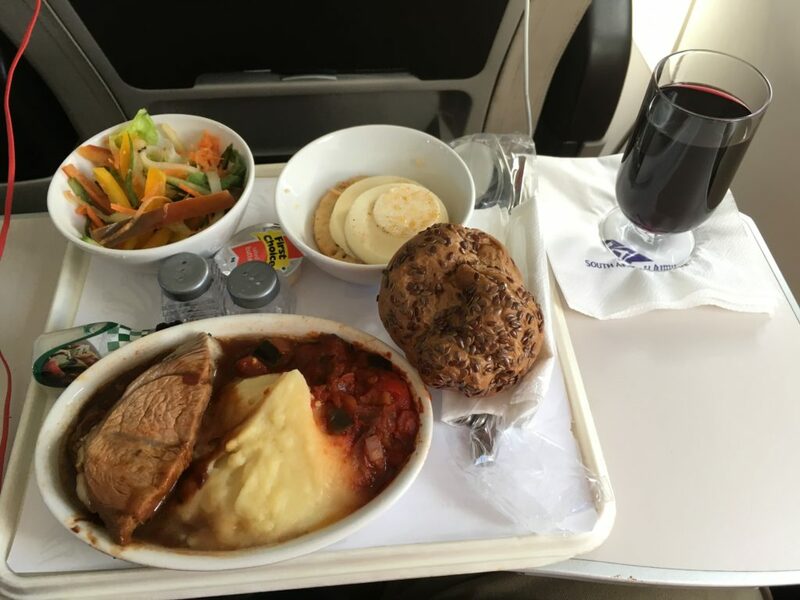 While I appreciated the reasonable portion sizes a la Finnair, it just didn’t work. 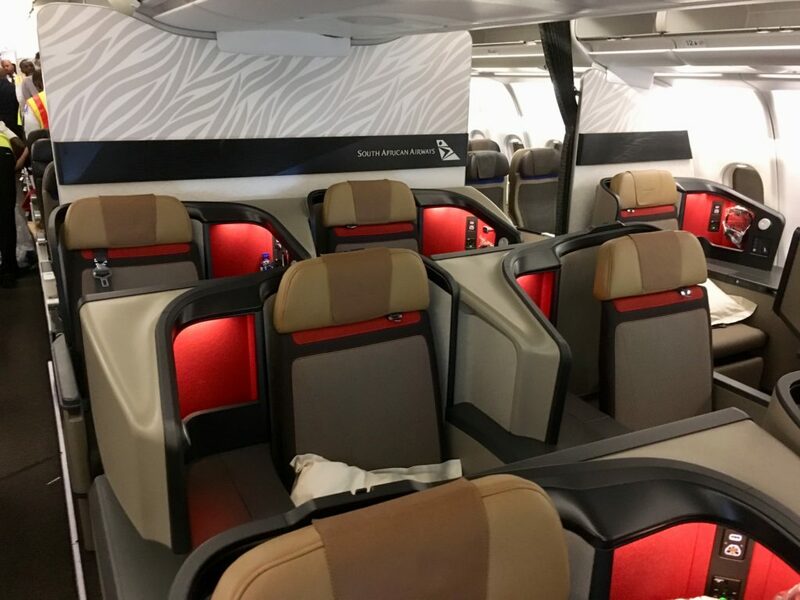 I posted a trip report a few months ago on South African’s new Airbus A330-300 with the 1-2-1 layout, and that was another reason I chose this flight. Glad to see the config was as comfortable as I remembered. After dinner I fell asleep for nearly three hours, a good nap on the way to Accra. While I’d hoped to stay awake to Accra then sleep 8+ hours to DC, the body clock had other ideas. 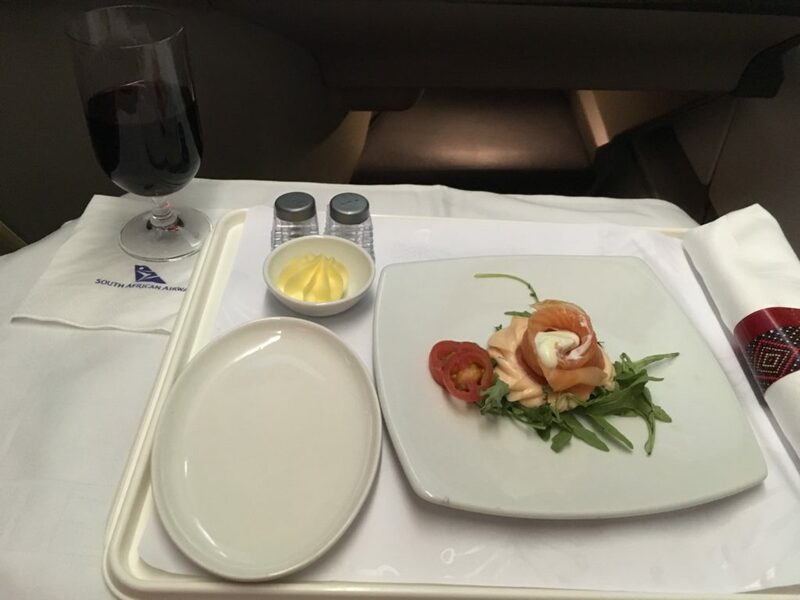 According to TripIt, the Accra to DC flight is only 12% on time, and we were to be no exception. We arrived in Accra with only 30 minutes until scheduled departure, and ended up leaving nearly an hour late. By the time they had done what they called a “TSA security sweep,” cleaned the plane, catered, and boarded the new passengers, it took nearly 90 minutes. Not sure if our flight was typical, but 75% of passengers got off in Accra, and at least 100-150 new passengers boarded. You have to schedule more than an hour for all of that! No pre-departure beverages offered, and actually no interaction with the crew at all. There was a crew change in Dakar, and while the first crew had seemed disinterested, this new crew was literally nowhere to be seen. 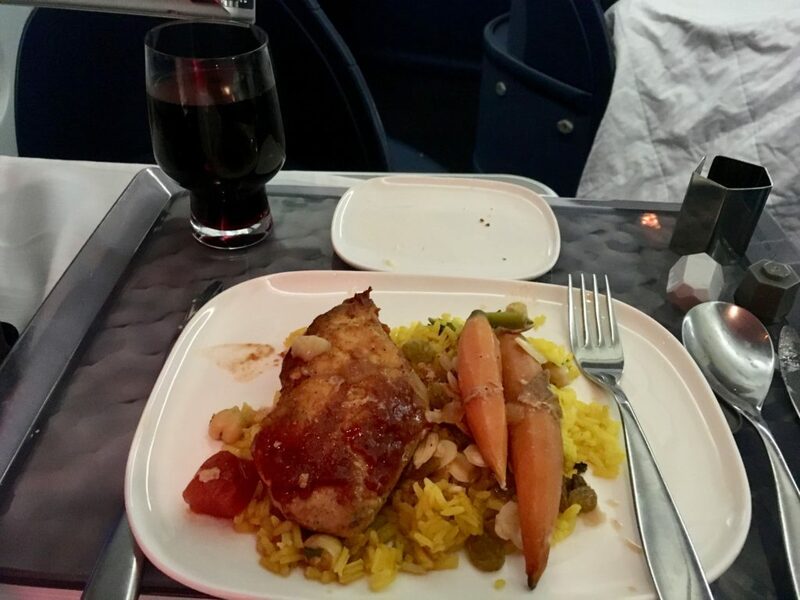 So bad that once we were in the air, the first interaction was a “we have dinner, you don’t want it do you?” Well, because of that, I had to see if it would be any better. 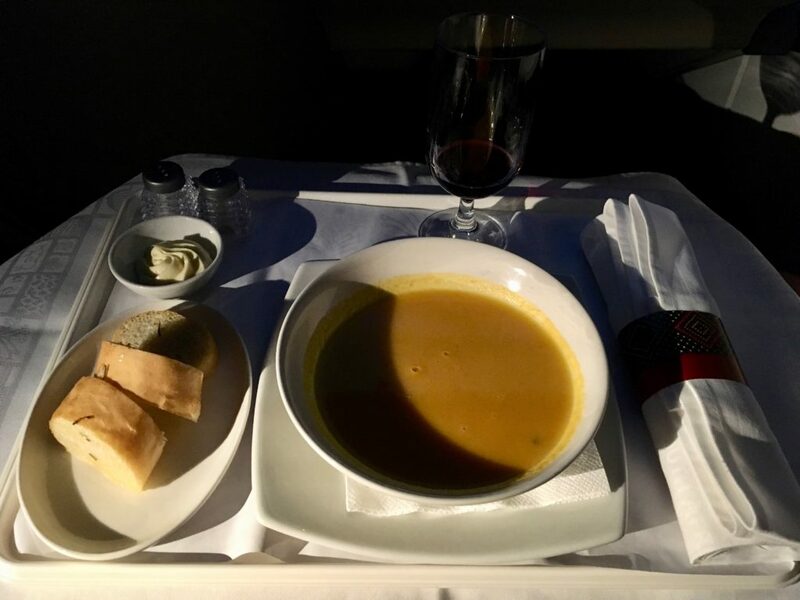 In complete fairness, the “soup of the day” was delicious – it was carrot ginger – and one of the best soups I’ve ever had on a plane. I didn’t ask if I could have the salad or appetizer this time because I wasn’t that hungry, but very glad I went for the soup. 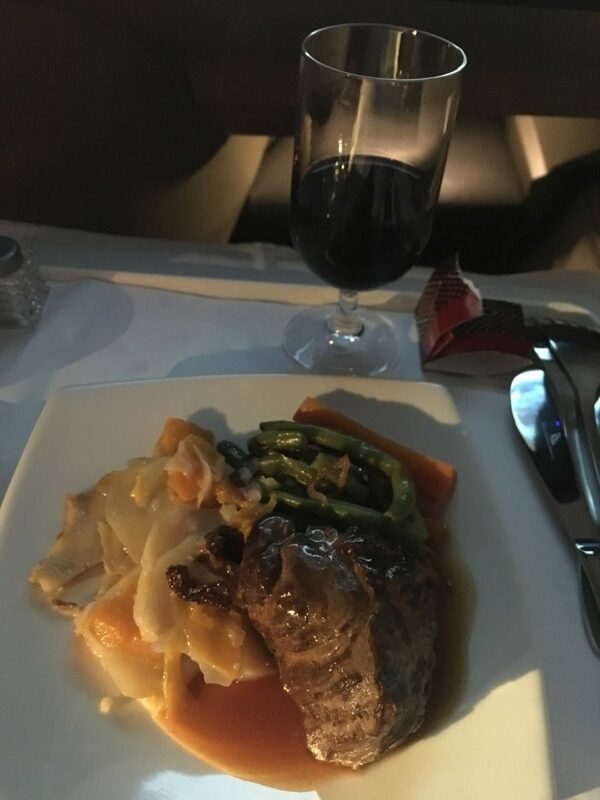 I’m not sure what made me risk the beef again (just like the previous flight, there were four meal choices – beef, chicken, fish, and veg just like the previous flight) but the description of “grilled beef fillet with potato and pumpkin gratin” got me…partly because of the gratin part. That said, this beef was light years better than the previous one, and the sauce and the gratin really added. A very solid meal. I don’t know if this is catered out of Accra or Joburg, but the two meals appeared to be night and day in quality. Sorry for the low-light pics, but this crew insisted on serving meals with the cabin lights completely turned down. Despite the three hour nap, I managed to pass out after dinner for a solid six hours. I guess the previous days of less sleep than I’m used to had gotten to me so that was good at least. Why did I wake up? Well the crew insisted on turning on all the lights two full hours before landing, and the resulting noise resulted in me waking up since I was already halfway there. No big deal, I got enough sleep, but seriously, why do you need two hours for a small one-tray meal service? 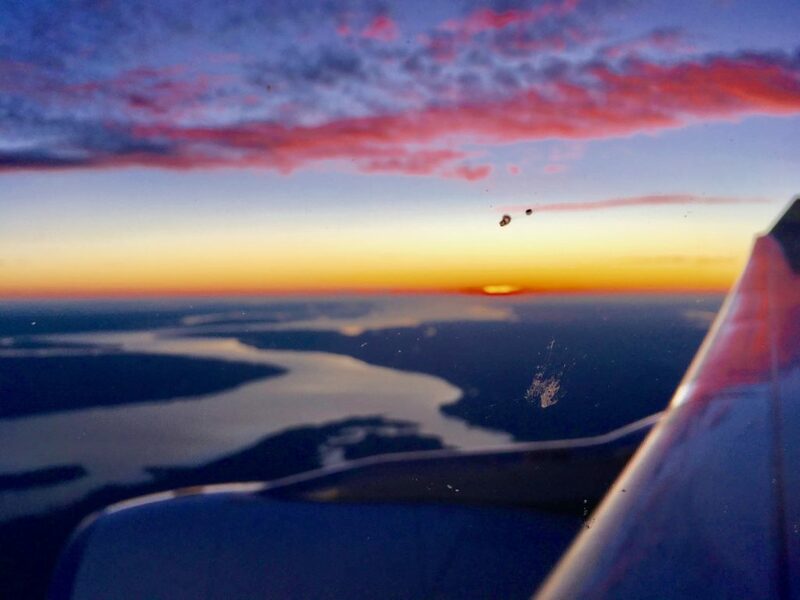 On this rant…they also insist you power down (yes, no airplane mode allowed) all electronic devices at the TOP of descent…a full 45 minutes before landing. Ugh. Anyways, I went with the hot breakfast option. 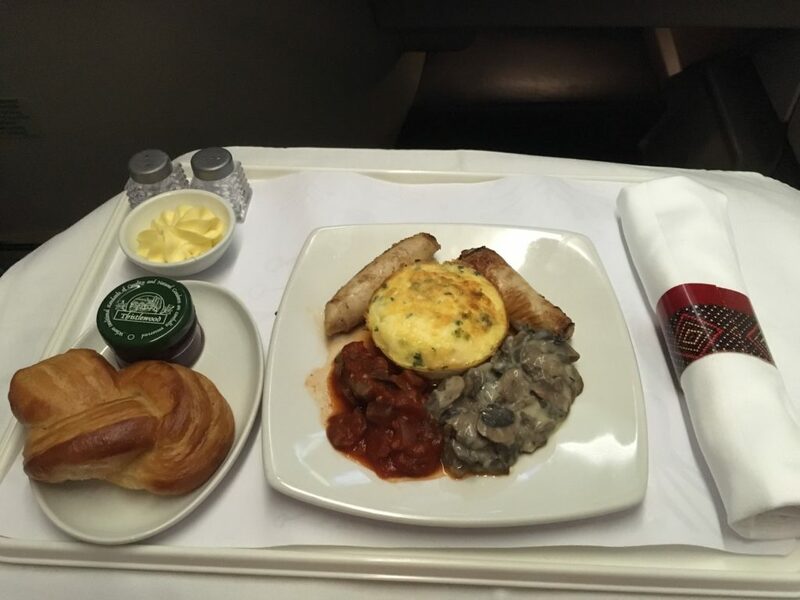 The eggs were meh as expected from eggs on a plane, but something about the mushrooms and red sauce were actually delicious. So, final thoughts on the trip. I literally decided the day that I left that I was going to do this, so absolutely zero planning went into the trip. That said, it was amazing. 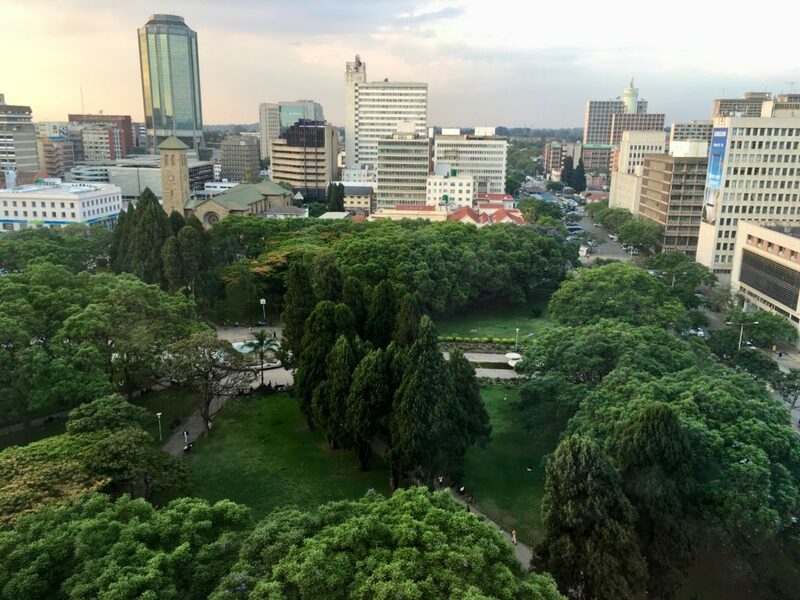 Sure, I wish I ‘d gone a day earlier and captured Harare the day Mugabe resigned, but you can’t exactly plan those things. 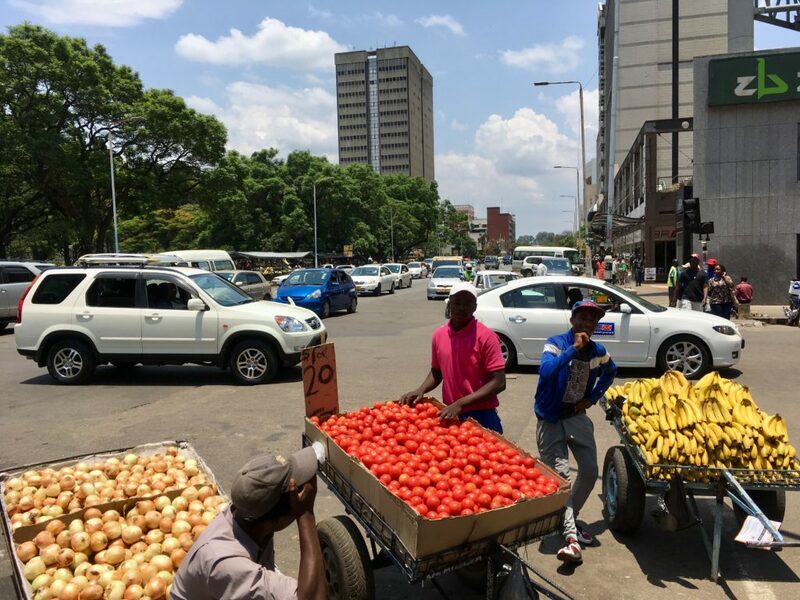 Being there the first day in Zimbabwean history without him as President was equally amazing…especially when you saw how quickly people moved on and were ready to build a new nation. It was also kinda cool to be so spontaneous and head 9,000 miles away on a whim. Great time, great experiences, and despite the exhausting I’m super glad I went. I’ve been struggling a little with “what next” after going to every country, and maybe I need some more spontaneous trips like this! That said, no plans yet for New Years or 2018, so stay tuned! Your reports are always so fascinating, I love reading them! 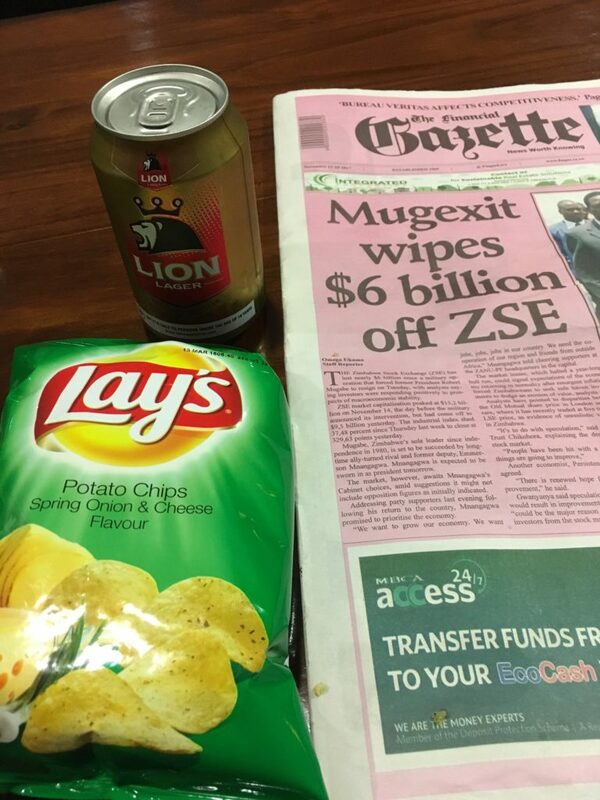 How cool to be in Zimbabwe at that time! Leaving the armrest up is not a thing. It’s not a loveseat. I once was in the same situation with a person of significant size who changed the armrest into the up position. I looked him Deep into his eyes, smiled and told him I was gay and that I was single too (neither of which is true) and in a few moments he had moved the armrest down. What an amazing story that was! 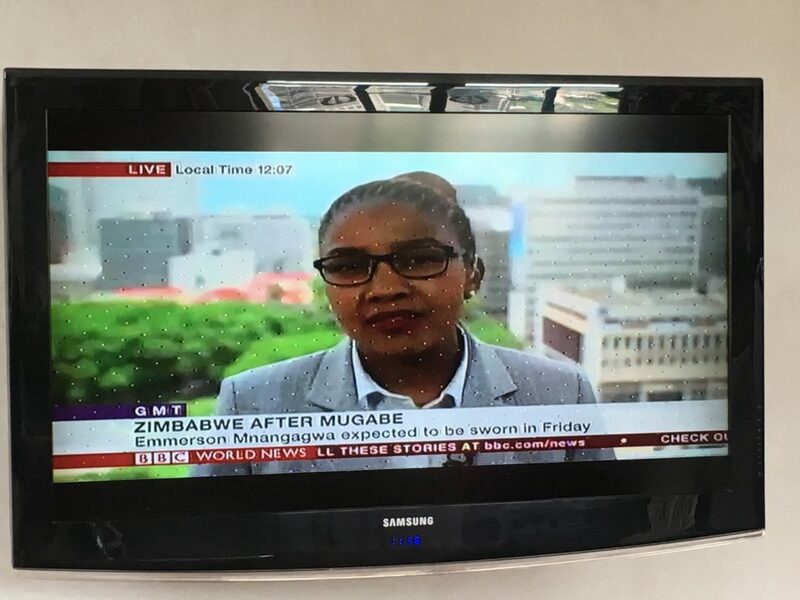 To be part of history witnessing a post-Mugabe era on Day 1! 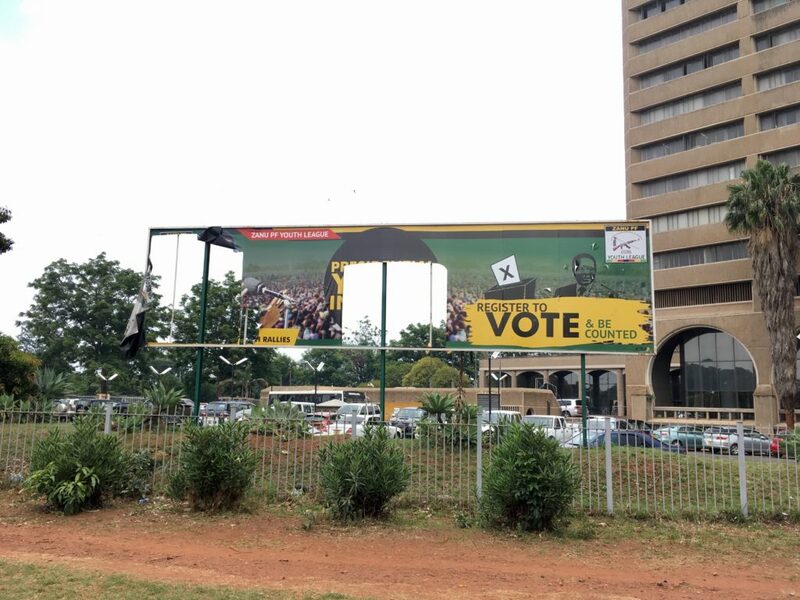 Here’s hoping for the best in Zimbabwe in this new chapter. BTW, the only thing that can top this trip is if you were to visit a newly created country on it’s first official day of existence. But, who knows where or when that will happen? LOL.